Our school has been AMBA-accredited. 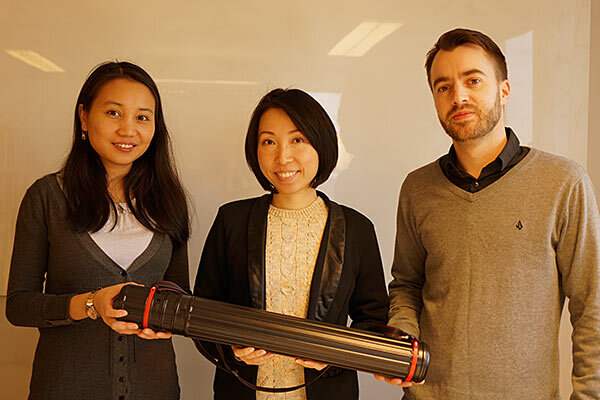 It was formally announced by the Association of MBAs in connection with the Asia Pacific AMBA conference that was held in Hangzhou, China. What did it take to become AMBA-accredited? In our case the preparations for accreditation began many years ago when we laid the foundation with the design of our Executive MBA programme. In 2012, the School entered the accreditation process and worked closely with the Association of MBAs. We upgraded our Executive MBA programme to meet the detailed criteria of accreditation. As part of the accreditation process, we wrote a Self-Audit Report. The document described all aspects of the Executive MBA programme from School strategy and governance to faculty, students, programme contents and quality assurance. 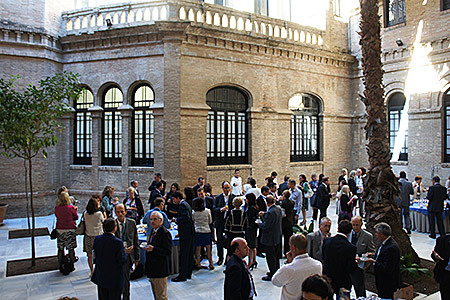 The accreditation preparations were the result of a concerted effort by many people at the School. The Assessment Visit was an important step of the accreditation process: A team of assessors from the Association of MBAs and accredited schools paid a two-day visit at our School, where they reviewed documentation and conducted interviews with the School management, teachers, students, alumni and employers. After the visit, the formal decision of accreditation was taken by an Accreditation Board. The “base room” prepared for the assessment visit. In the base room, background information about the School and the Executive MBA programme was made available for the Assessment Team. 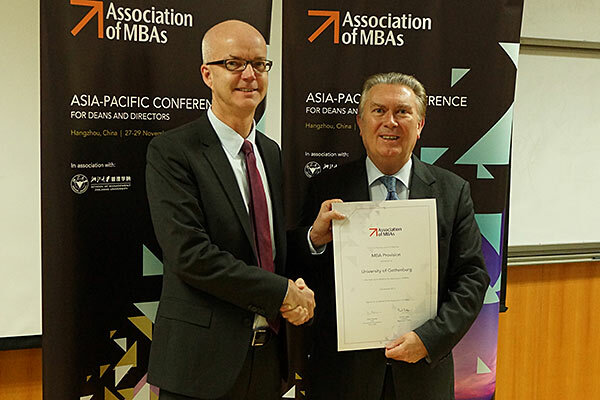 P.O Larsson receives the AMBA Accreditation certificate from Sir Paul Judge at the Asia Pacific AMBA conference in Hangzhou. 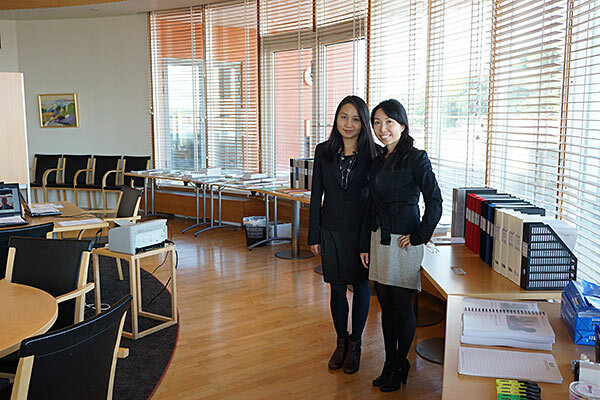 The core team that worked with the AMBA accreditation effort: Jennie Yu, Sandra Lam-Carlsson and Olof E. Johansson. The certificate was brought back from the AMBA conference in this tube. The future of the MBA in the Asia-Pacific region The Association of MBAs arranges both global and regional conferences. 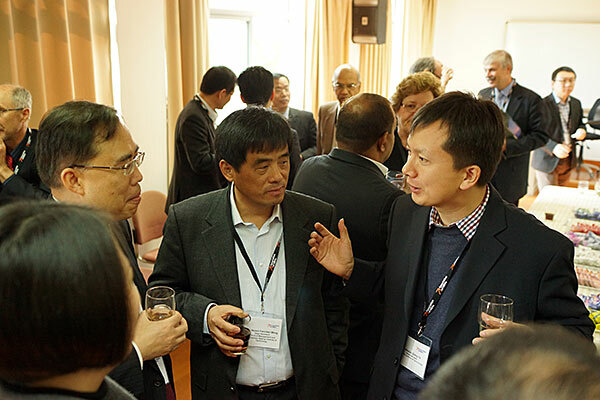 The Asia-Pacific regional conference was hosted by Zhejiang University, Hangzhou, China on November 27-29, 2013.